Wholesale Prices means you get more for your money by buying more bags and paying less per bag. We deliver everywhere in the lower 48 states. FREE delivery in California. Buy in bulk and we will store it for free for 6 months. We will ship as and when you desire. We strive to give you peace of mind from the moment you call to the moment the product arrives at your door. What Can’t You Do with Custom Poly Bags? 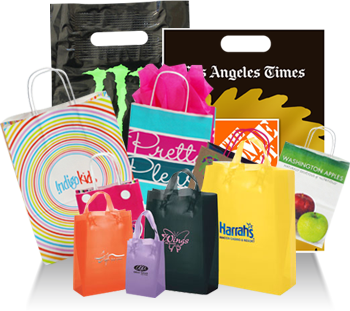 Custom poly bags allow businesses to pack products in durable bags with customization options. These bags are great for retail use. Side sealed bags can be expanded and can be used for items that are thicker and bulky, or are irregularly shaped. The team at APlasticBag.com can help you choose the right size custom poly bag to ensure your products will fit great. Custom poly bags with side seal are designed to hold up from the stress. A design team from APlasticBag.com will work with you to choose the correct thickness and durability for the bag. This will help make sure you have the match that will work with your business’ products. Thicker bags can be used for heavy-duty applications and there are lightweight options to be more budget friendly and for lighter weight products. Each bag should match the appropriate application and your team at APlasticBag.com can help find the best option for your products. Our highly customized products and rush production is a specialty. Whether you need small or large quantities, our customer representatives are here to treat you with the utmost care to ensure that each order is accurate, with clear printing for successful branding. Custom Poly Bags with Side Seal Made in the USAIn order to suit your business needs, we have custom designs to help with your brand awareness. Use the form on the bottom of this page to get a FREE sample. No matter the size of your order, we are here. There is no obligation and our representatives are standing by to help with your order.